The Reserve Bank of India (RBI) in its February monetary policy moved to “correct the past inaction” on interest rates, one of the highest in the world after discounting inflation, so that private investment and employment get a boost, according to the minutes released on Thursday. In earlier policies, except Ravindra Dholakia, no other monetary policy committee (MPC) member thought it fit to cut rates even when inflation was well below the target of 4 per cent. The RBI had in the October policy even changed the stance to “calibrated tightening” from “neutral” earlier. Under the chairmanship of Governor Shaktikanta Das, the committee voted four against two for a 25 basis point repo rate cut. Viral Acharya and Chetan Ghate voted to keep the policy repo rate unchanged at 6.5 per cent. All of them, though, favoured bringing the stance back to neutral. Das said sustained low inflation, indications of food prices remaining low in the coming days, and weakened growth impulses “underscore the need to act decisively”, and that there was a need to “seize the initiative and create a congenial environment for growth to revive and ensure a sustained trajectory”. Executive Director Michael Patra, who has been a strong advocate of a rate hike in earlier policies, saw merit in a cut this time. Had he continued with his earlier stance, the verdict would havebeen a draw and the new governor would have had to cast his additional vote. The minutes of the monetary policy committee meetings, held between February 5 and 7, showed that the six members were sure about inflation to be low in the coming months, but they differed on by what degree it would be so and for how long. The members took comfort in crude prices stabilising at a softer level and food prices expected to remain benign in the coming days. The RBI has been revising down its inflation projection and have lowered it from October to December by between 40-80 basis points (bps). RBI’s own survey also revealed a softening by 80 bps at three-month horizon and 130 bps at 12-month horizon. Patra argued that the future momentum of inflation would be dictated by food prices, but the chances of food becoming costly in the coming days, when there is a supply glut seems to be unlikely. “As the amended RBI Act enjoins us, if the primary target for headline inflation is achieved on a reasonably lasting basis, it opens up some headroom to address the objective of growth,” Patra said. External member Dholakia, a strong advocate of rate support to growth and a sharp critique of RBI’s inflation projection ability, saw scope for 50-60 basis points rate cut. “There is, therefore, an immediate need to change the stance formally from calibrated tightening to neutral and cut the policy rate by 25 bps to begin with,” Dholakia said. According to Dholakia, India’s real policy rate of 2.6 per cent (repo 6.5 per cent minus one-year inflation projected at less than 4 per cent) is one of the highest in the world. “We do not need such a high real policy rate. 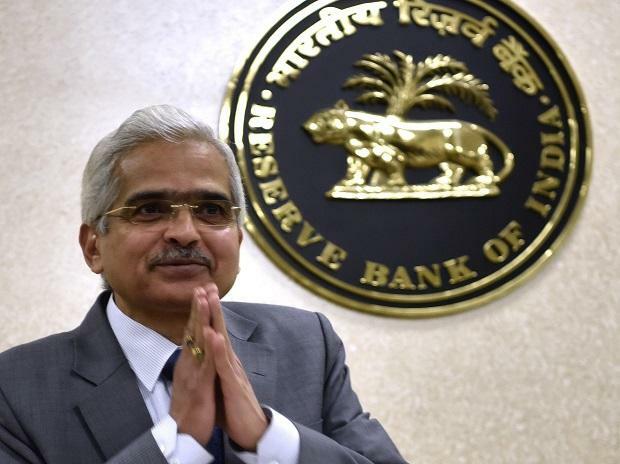 There is an urgent need to correct the situation by bringing down the real policy rate to a more reasonable level, particularly when the expected inflation 3-4 quarters ahead is within the target of 4 per cent,” Dholakia said. RBI Deputy Governor Viral Acharya, while noting that several group of food items were in deflation, advocated exercising caution for one more policy before deciding on a rate cut. Acharya said crude prices have softened for now, but wild gyrations in oil prices are possible anytime. “More importantly, the assumption of sustained low momentum in food prices leads to a consideration of the risk of agrarian distress,” Acharya said. This response to restore rural demand and wages may feed quickly into generalised inflation in the coming days. “In other words, the assumption of particularly benign food inflation in the short run imparts significant upside risk to the inflation trajectory, at the short- and/or medium-term horizons, from the fiscal adjustments that would be necessary to address resulting agrarian distress and to boost rural demand,” said Acharya, advocating a pause in rates.